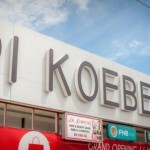 91 Koeberg Mall in Koeberg Road, Brooklyn, Cape Town, has opened its doors. Mrs Betty Olla, the investor in the new development, which is worth more than R13 million, was responsible for the planning phase and will oversee the leasing and long-term management of the shopping centre. The property is owned by the Olla Family Trust. Located in the centre of Brooklyn, 91 Koeberg Mall is a major urban renewal project that aims to strengthen the local Brooklyn economy by offering food, beauty, fashion, fragrances, internet, cell phone, music and other retail outlets, such as Lumiére Hair, Sound Select, Perfumes for Africa and French Confectionery Bakery that will complement the existing retail offerings on Koeberg Road. The children’s entertainment area in the entrance of the mall makes it a dynamic and trendy destination for shopping. The mall will serve approximately 3 732 households accommodating the 10 941 residents of Brooklyn. Olla explains that, with many people returning to Brooklyn and surrounds, the previous commercial hub provided little for residents. For this reason, the mall will also include three ATMs with security guards. Benefitting from direct connections to Cape Town and the surrounding areas via the My Citi bus service, the new shopping centre, which spans 1 217 sq metres, offers a secure shopping environment with 24 hour security. Shoppers can relax in the knowledge that at 91 Koeberg Mall the safety and comfort of shoppers is a top priority. The official opening of the mall was officiated by the chairman of the Brooklyn, Ysterplaat and Rugby Ratepayers’ Association (BYR RA) chairperson, Mr Rudi Wolter; and Mrs Betty Olla. According to Mrs Olla, the Olla Family Trust embarked on this investment because it will add value to Brooklyn and surrounds. She said that she is confident that 91 Koeberg Mall will not only contribute to the economic, social and cultural progress of Brooklyn, but also boost the importance of Brooklyn in the region by offering new job opportunities and upliftment of the area. Shoppers will be given the opportunity to win gifts and prizes, receive discounts and free entertainment for the children when they shop at the mall during November 2015. She added that families really can spend a little and get a lot. Rudi Wolter said, “We commend Mrs Olla, who invested more than R13 million in the Brooklyn area, to provide much-needed community facilities. “This is the first time in many decades that the private sector is investing in the retail segment of Brooklyn. It is, in fact, the single biggest investment ever. “Mrs Olla’s intention to bring back good quality retailers and much-needed community facilities, such as banks, (Nedbank, Standard Bank and FNB), doctors, pharmacies and retail outlets from which the community and their school can benefit, is greatly appreciated by BYR RA. 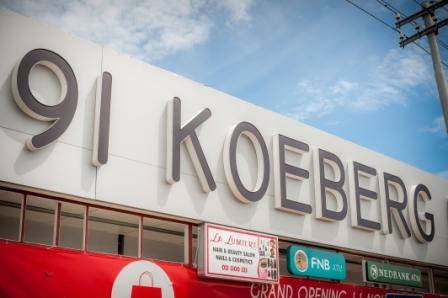 “This makes Mrs Olla the pioneer in re-investing in the Koeberg Road Corridor. “Due to the close proximity of Brooklyn, via the Koeberg Road Corridor, to the City of Cape Town, we hope that this goodwill investment will be the beginning of the urban renewal process. 91 Koeberg Mall will be open from 8h00 to 18h00 from Monday to Friday and 8h00 to 16h00 on Saturdays. Shops include Cell Circle, Lumiére Hair, Sound Select, Eagle Collections, Perfumes for Africa, R T Nature, Sweet Desire (for ice cream, sweets and biltong), Fish in Chicken, El Shaddai (an internet café), French Confectionery Bakery and three auto banks. Mrs Olla can be contacted on (021) 447 1134 or (021) 447 0385.